A Texas emergency response team was flown in to deal with a recent Pennsylvania gas well accident, even though the state arranged last year for a local team to be available. April 28: This post has been updated. 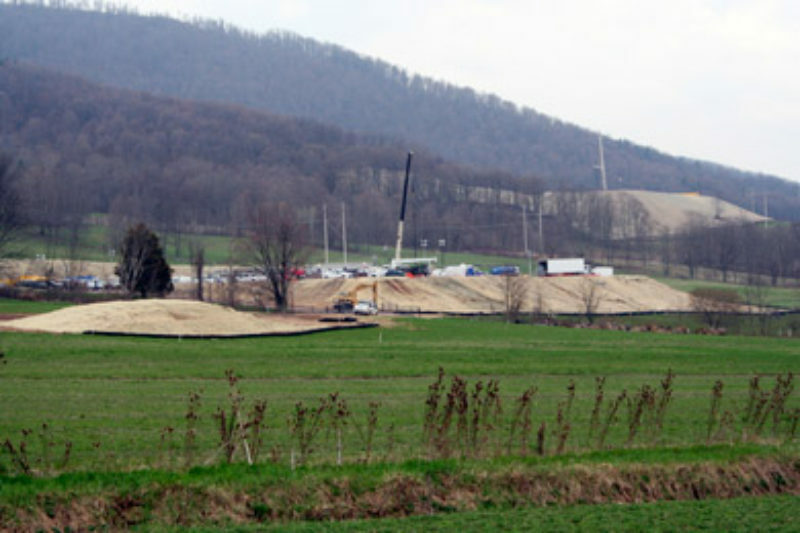 When Chesapeake Energy lost control of a Marcellus Shale gas well in Pennsylvania on April 19, an emergency response team from Texas was called in to stop the leak. By the time the team arrived more than 13 hours later, brine water and hydraulic fracturing fluids from the well had spewed across nearby fields and into a creek. Why did a team have to be called in from Texas, as the Scranton Times Tribune has reported? That's what we're trying to figure out. According to a plan that Pennsylvania's Department of Environmental Protection announced in August 2010, a Pennsylvania-based emergency response crew should have been available to handle the blowout. The plan was created after Texas crews had to be called in to deal with two serious gas drilling accidents last summer. The first was a blowout at an EOG Resources well in Clearfield County on June 3 -- it took the Texans 16 hours to arrive at that site. The other was a fire at a Huntley & Huntley well in Allegheny County that killed two workers on July 23 -- the emergency responders showed up 11 hours later that time. John Hanger, the DEP's former secretary, said at the time that the delay was unacceptable. "When an accident occurs, we cannot wait 10 or more hours for a crew to fly in from halfway across the country," he said in a news release. To remedy the situation, Hanger said that Texas-based CUDD Well Control would open a new facility in Bradford County and that 16 specially trained responders would be able to reach any well in Pennsylvania in five hours or so. If a well operator didn't respond promptly, the DEP would call in the CUDD team. Drilling companies could use CUDD, too. The arrangement seemed to work. When a Talisman Energy well blew out in Tioga County on Jan. 17, the CUDD team had the well under control in less than four hours. Dennis Corley, CUDD's vice-president, said he offered the company's services to Chesapeake after last week's blowout -- which occurred in Bradford County -- but was told that Chesapeake was already under contract with another emergency responder, Houston-based Boots & Coots. Corley said the DEP did not request help from CUDD. The DEP, which is now led by Michael Krancer, didn't respond to calls and emails from ProPublica. Rory Sweeney, a Chesapeake spokesman, said he didn't know why it took emergency responders more than 13 hours to arrive. He could neither confirm nor deny that the team that sealed the well late Thursday had come from Texas. In a phone interview yesterday, Hanger said the state's agreement with CUDD was still in place when he left the DEP in January. The agreement "was put in place to make sure it was a matter of a few hours" before help arrived, Hanger said. "That was the point." In a notice of violation issued to Chesapeake last week and published by The Daily Review, in Towanda, Pa., the DEP asked the company to explain why the response took so long. Another question raised by last week's incident is what tests the DEP and Chesapeake are using to monitor the spill's effect on water and soil. In the notice of violation, the department asked Chesapeake for a full list of the chemicals it was using to hydraulically fracture the well. 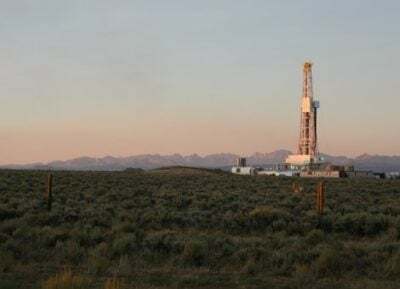 But Sweeney, the Chesapeake spokesman, said on Monday that the company hadn't yet reported the composition of the fracturing fluids to the department. He said Chesapeake is still determining exactly what was in the fluid that leaked to the surface. Despite that gap in knowledge, he said the spill has caused "minimal" harm to the local environment. Sweeney directed us to a new website that companies are using to voluntarily disclose the hazardous components of their fracturing fluids. But the problematic well, called Atgas 2H, is not listed on that site. Other wells Chesapeake has drilled in Bradford County are listed, however, and they show a number of toxic chemicals, including 2-butoxyethanol, which can damage blood cells and vital organs. Those disclosures also list at least one proprietary ingredient, a component that the company has kept secret. Sweeney said Chesapeake has replaced the damaged well head and is now considering whether to permanently plug the well or try to bring it into production. Chesapeake has voluntarily suspended all its hydraulic fracturing operations in the Marcellus Shale for the time being. Update: When we first interviewed Chesapeake spokesman Rory Sweeney, he said he didn’t have any details about when Chesapeake responded to the Bradford County well blowout. After the story ran, however, he sent us an email saying that an in-house well control specialist arrived at the site within 30 minutes, with three more arriving in the next eight hours. He said they reduced the flow by about 70 percent before the Boots & Coots team arrived. "Chesapeake's response to the situation was immediate and did not take 12 hours as some have reported," Sweeney wrote. ProPublica’s information about Chesapeake’s response time came from the "notice of violation" that the DEP sent to Chesapeake after the spill. In that document, the DEP asked the company to explain "why Chesapeake took 12 hours to have a well control service company at the site when there are other well control service companies located closer to Atgas 2H Well." In his original interview, Sweeney confirmed that the blowout began about 11:45 p.m. on April 19. According to the DEP document, Boots & Coots arrived at 1:25 p.m. the next day. Chesapeake said the leak was sealed on April 21 and the well was fully controlled on April 25.